Home - Rocklin Glass & Mirror, Inc. Rocklin Glass & Mirror, Inc. Home - Rocklin Glass & Mirror, Inc.
One Stop Shop For All Your Glass Needs! 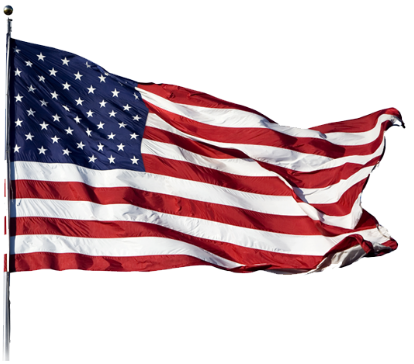 Veteran Owned and Operated Since 1988. Our services are competitively priced with our customer’s best interest in mind. 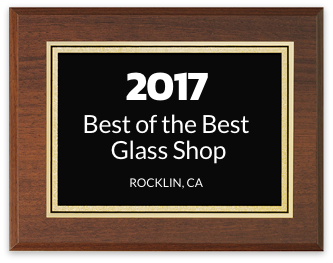 Thanks to our valued customers and folks who voted ROCKLIN GLASS & MIRROR, INC. Best of the Best in 2018, glass shop. We are extremely honored. We are fortunate that we have some of the best staff which have helped us attain this stature in Placer County. We appreciate our customers voting Our Shop ~ Best of the Best in 2018. We strive to uphold the highest standards in the glass industry; putting our customers needs first and foremost. We a family run shop, our installers are top-notch and prove integrity is everything! 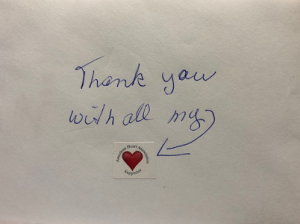 Thank you to our loyal customers, we appreciate your business! When you frequent the shop you will see the many awards from previous years voted BEST OF THE BEST GLASS SHOP! We are grateful for this recognition, presented on 18th day of July 2018. 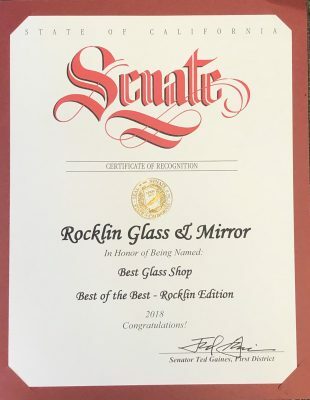 I had to find a glass place fast for my wife’s birthday and all the reviews from various sites seem to recommend Rocklin glass and mirror and I agree with the ratings! I had a mirror installed in a very delicate shelf from Morocco and they finished the same day! I also had a glass top custom cut for a star table and it came out great. The people there are very friendly and they get things done fast and very reasonably priced. Just a quick shout out to you guys to thank you for all the great work you do! And for putting up with us (accommodating us) when we need something done ASAP. It’s awesome to have vendors that you can count on and won’t let you down! I know we’ve had a few times lately where we were scrambling to get a property ready and you guys came through and made it happen. 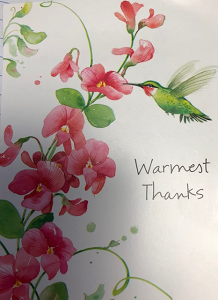 Just wanted to let you know that Steve, Carrie and I really appreciate you and keep up the good work! 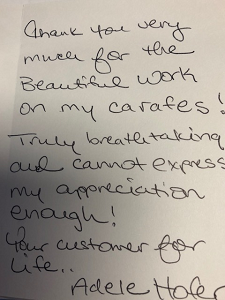 From a very sweet customer, Adele, who brought in her carafes she had bought that were chipped. We made them “like new” again! She was forever grateful. 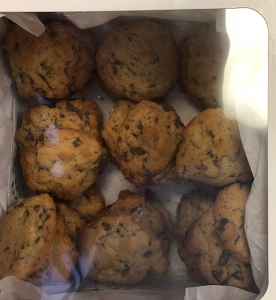 Brought us home baked Belgium Chocolate Chip Cookies and handwritten card today. Adele, you are simply one of the sweetest German Ladies I know; like I said, you reminded me of my Grandmother. Very fast, friendly and professional service. They quickly ordered and received the magnetic latch that I needed for my shower door. Great people to do business with. “Took care of all my window repair needs at an affordable price and as always they go above and beyond! Support local businesses! Just had my old shower door replaced as well as a bathroom mirror – and wow!!! Great service!! I asked if it could be done before tomorrow and they did! It was done yesterday. It looks beautiful and I am so happy I went with Rocklin Glass!!! — WOW, Great Service, I am so happy I went with Rocklin Glass!!! These guys are fantastic!!! Great Team. Everyone was so nice and professional and HONEST. I called several glass companies for my display case replacement glass but decided to choose Rocklin Glass because the owner Barry, was so nice and helpful. AND they had better prices and did a GREAT job. He gave me a quote over the phone and all I had to do was pick it up. It fit perfectly! Great customer service. Sharon, his wife and daughter Hillary at the front desk were equally nice and supportive. My job this time was a small one but now we know who to call for our glass needs in the future. We trust them that much! Call around, collect your info and then call Rocklin Glass. You’ll be glad you did. Customers, Gary & Renee A. Had a great experience today with David from Rocklin Glass and mirror. He was on time efficient and professional. He went above and beyond and I would recommend this business to anyone. Wow! You want to talk about 5 star service!! If it was possible to rate 10 stars I would!. I had a burglar break my glass on the front door of our business at 7:45am . After I was done with the police and reports I called ROCKLIN GLASS right away. They quoted me at 9:45 -10am ish that it would be roughly be around 12- 2pm for them to get it done. About 20 minutes later the Owner personally drove to Citrus Heights to get the correct measurement and as soon as he left I say a half hour later the replacement glass was being installed!!! WOW!!! Now that is customer service if I ever have seen it. Hats off to the staff at Rocklin glass. I have never got such dedication are such a fast response to get the job done when i was in a pinch!!! THANKS GUYS!!! I HIGHLY RECOMMEND ANY WHO NEEDS HELP IN A PINCH OR JUST NEED TO PURCHASE GLASS USE THESE GUYS THEY ARE GRADE A FOR SURE!!! — Car Wash Break In – FIVE STAR SERVICE, You want to talk about 5 star service!! If it was possible to rate 10 stars I would! 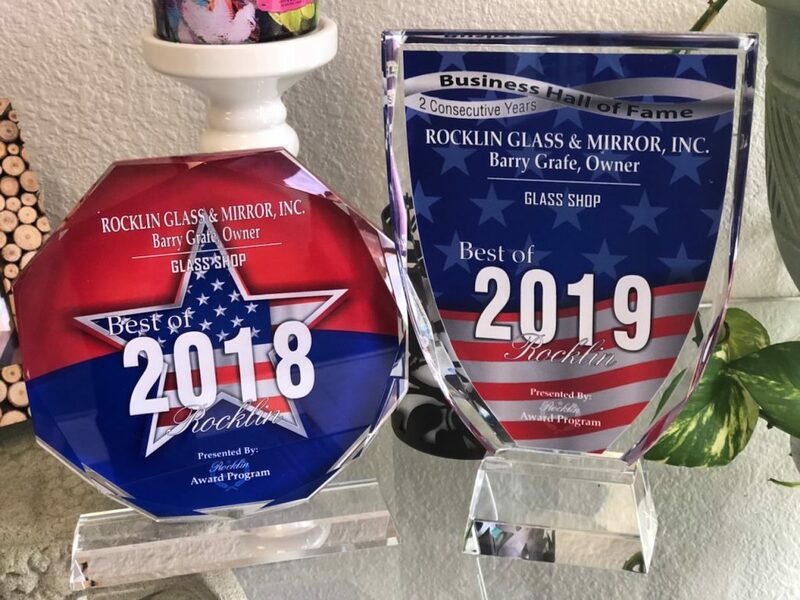 Rocklin Glass & Mirror has great prices and fantastic customer services, plus is right here in our backyard, so we are helping out our local small business. They came out, gave us a quote and today we had our new shower glass put in. It looks great and it changed our whole bathroom. Thank you!